Gold medal-winning golfers at the Olympic Games in Rio will win exemptions to next year's majors. 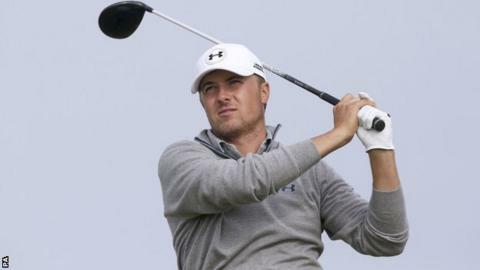 It means the men's winner this summer will win entry to next year's Masters, US Open, Open and US PGA Championship. Exemptions for the 2016 Evian Championship and next year's ANA Inspiration, Women's PGA Championship, US Women's Open and Women's Open will be given to the winning woman. Golf is returning to the Olympics in August for the first time in 112 years. Masters chairman Billy Payne told a news conference at Augusta National: "We believe our game's visibility will be dramatically elevated by the global platform that only the Olympics offer. "From this greater visibility, we believe will evolve greater participation in our game, and it will be a certain beneficiary." While some of the world's top players would already hold exemptions to the majors, Pete Bevacqua, the chief executive officer of the PGA of America, said: "From our perspective, whether it's someone that is in the top rankings of the world or someone who is that Cinderella story, in both ways it's a positive." Exemptions for major tournaments can be achieved in a variety of ways, such as being a previous winner, while world rankings can also play a part.